Is Jason Boso's Truck Yard a Glimpse of the Future? This Texas "food park" is one you'll want to visit. Jason Boso was ahead of the pack in 2006 when he and fellow culinary-school grads Quincy Hart and Steve Thompson co-founded Twisted Root Burger Co. in Dallas, one of the early high-quality, chef-driven burger bars. 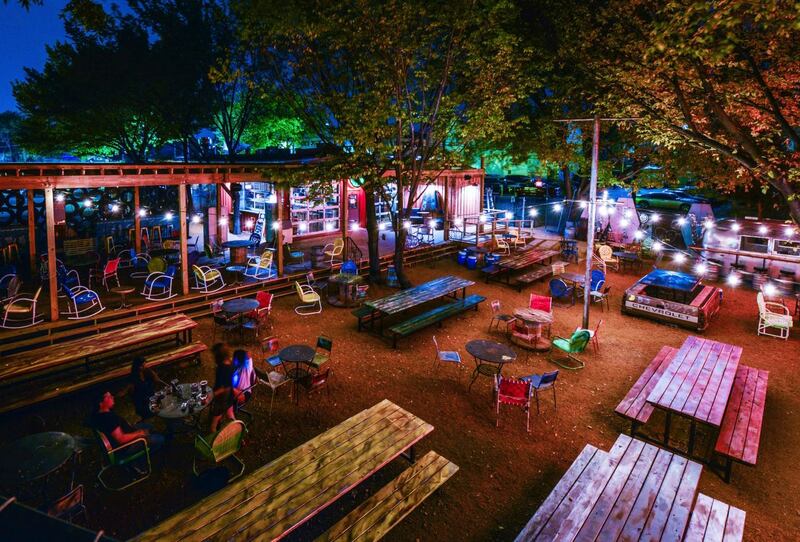 Last weekend Boso opened his latest concept, Truck Yard, a wild bar/food truck/restaurant mashup in a 15,000-square-foot lot in Dallas's Lower Greenville neighborhood. The place is like a sprawling backyard with picnic tables, fire pits and a converted mechanic's shed turned bar and Steak Me Home Tonight, where they're cooking sliced rib-eye cheesesteak sandwiches. BurgerBusiness.com pulled Boso away from the cheesesteak grill for a few minutes to give the lowdown on Truck Yard and its meaning for Twisted Root. So Jason, help me understand what this crazy concept is all about. Crazy's probably the right word. Most people when we told them what it was going to be, they couldn't conceptualize it. But when they walk in they say, "Oh. Now I see what you're saying." A lot of people are calling it a "food park" but, really, it's more of a bar where you can sit in a beer garden and also get up and go get food from a truck if you want. The atmosphere is more bar than restaurant. There's a full bar [in the main building] plus one in an old Airstream trailer in the back yard with a bartender in it. There's a treehouse bar [14 feet up] with a bartender up in it and a big stage for the music we plan on having pretty consistently during the week. And then I'm selling Philly cheesesteaks through a little place. You and the cook are yelling back and forth about what you want on it. It's that kind of place. No. We do allow a food truck to sell burgers back here but I'm just serving cheesesteaks. You'll rotate the food trucks that will be coming in? A lot of restaurateurs see food trucks as a threat. It doesn't sound as though you do. No. I thought it was a good marriage. I plan on making a majority of my revenue from alcohol sales, so I thought foods trucks would be a good way to draw more people. And it's a way for me to reduce my square-footage costs by not needing a gigantic kitchen. That cuts my equipment costs and occupancy costs. If I can pack the place full of people and pay servers through tips, it makes it easy for me and a lot more fun. The food-truck community must have bought in to the idea if you have 20 or so eager to take part. They were really excited. 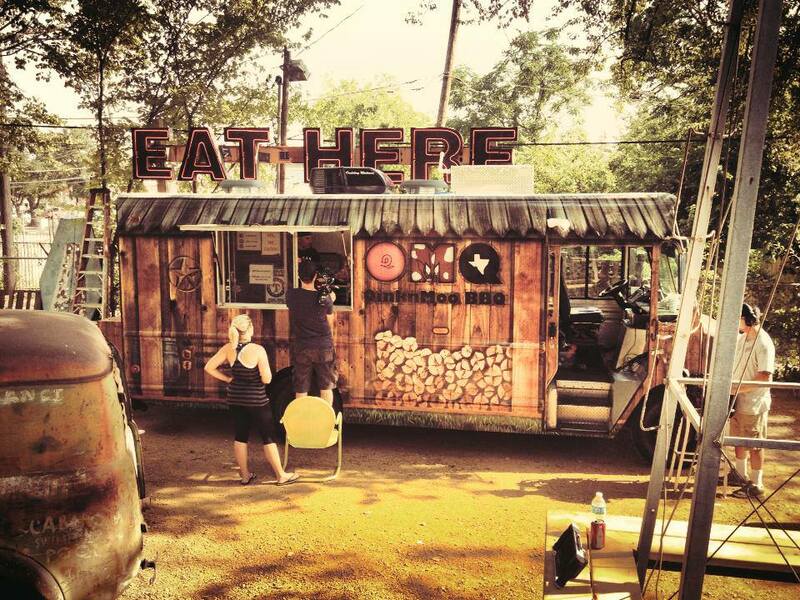 There've been some of these "food-truck parks" in Dallas and Fort Worth but really not many of them have worked out. These [truck] guys have seen them go wrong but they've told us we might have the right equation for it. Where did the idea come from? Was it the site or did you have the idea already? If you know Austin, you know it has a laid-back, flip-flop feel. And outside there is my favorite place in the world, a town called Gruene. It's pronounced "Green" but spelled Gruene. I love to go to Gruene Hall [built in 1878] and go dancing, float down the river the next day. And that was the main inspiration: a lot of outdoor drinking and dining with some good Texas country music. You can come with your hat on backwards and wearing that shirt you've had since college that just might be a little stinky. That's my favorite atmosphere. Is there any sense in which Truck Yard is you saying the "burger bar" era is over? No, no. I probably would have done burgers here had it not been so close to my original Twisted Root location. Burgers are still No. 1 and I don't see that changing. You know as well I do that some people like to say burgers are dying. Maybe they are for the "stamped out" chains but uniqueness and creativity are still very craveable. At least that's what I see. You have nine Twisted Roots open now, right? With a few more set to open this year? Our Austin location is experiencing a bit of a delay due to some permit issues. But it will probably open by the end of the year. Shreveport, La., [the first outside Texas] opens next weekend. How many units can the concept comfortably -- meaning you, comfortably -- manage? I continue to grow my team, which is mostly a bunch of close friends I've known for 20 years who have a specific skill set that fits our needs. The ones who don't have those skills just come and drink beer. But I continue to grow that team ahead of the expansion and pay more than I should [for locations] just so I can continue to be creative and not become a uniform chain. I'm always looking for funky buildings, funky neighborhoods and the funky staff with the nose rings and the big smiles. So as long as you don't run out of funky you can keep growing? Yep. As soon as I feel the funk go away, I'll slow down or stop! If you had to create another, totally new concept next week, what's it going to be? Seriously? Should we watch for that in a year or so? I think you should! I do have some plans. It keeps the energy alive.